Looking for dinner Crystal City? Venture outside of the Crystal City shops and across Route 1 along 23rd Street South for a series of diverse restaurant options. On my most recent work travel to Crystal City, I had the pleasure of traveling with another co-worker that I had never met in person before, so I was happy to take the time to have a sit down dinner with her and get to know one another. 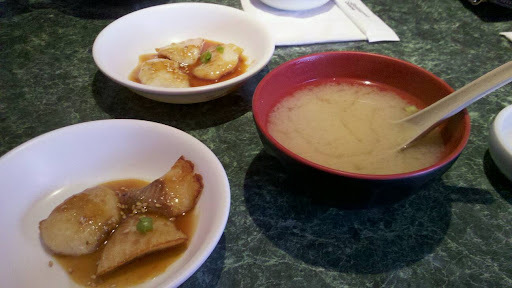 Not knowing what she’d be in the mood for, I directed us down to the 23 St S block where we decided on sushi. (Which is a treat for me, because TasteBudA doesn’t care for sushi). To our amazement, we were seated immediately and our night began. 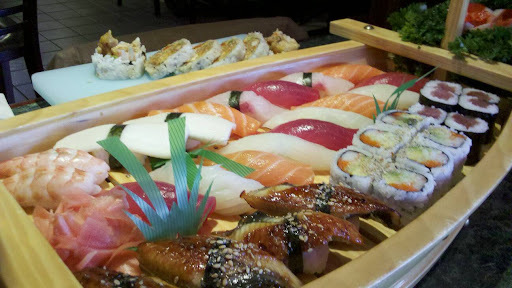 The Bonsai Grill staff were attentive and the sushi boat really is plenty of food for two people. Though, we didn’t know that upon ordering so we piled an additional Spider Roll onto the order. We wished for a more diverse wine selection, though became agreeable to the Yellowtail wine that is their standard (and only) option. Dinner was very nice and I spent time not only getting to know a new co-worker, but also someone I can truly call a friend.